The Book Arts & Special Collections Center at SFPL (100 Larkin Street) presents Visual Poetry: A Lyrical Twist, featuring San Francisco lettering artist Thomas Ingmire’s unique modern and expressive calligraphy in the creation of collaborative works with eleven contemporary poets: Jack Hirschman, Dean Rader, Tsering Wangmo Dhompa, Li-Young Lee, Robert Bringhurst, David Annwn, Christine Kennedy, Geraldine Monk, Alan Halsey, Allen Fisher, and Robert Sheppard. Meet the artist during a gallery talk on January 19 or February 9, 10:30 a.m.-12 p.m., Jewett Gallery, Lower Level. 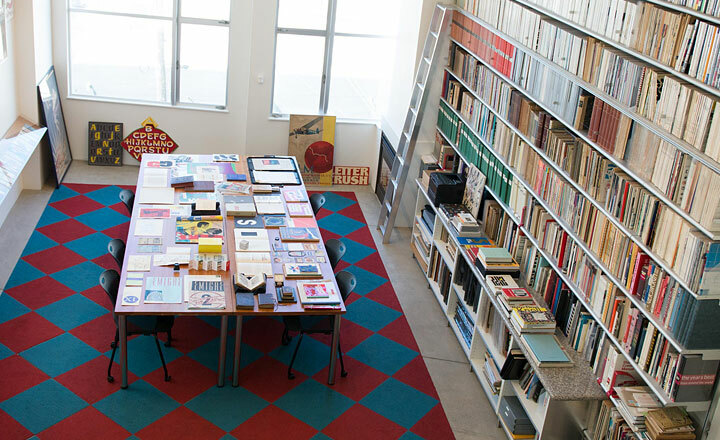 Letterform Archive is a nonprofit center for inspiration, education, and community with over 50,000 objects related to type, lettering, and graphic design. On February 7, from 6 p.m.–9 p.m., the Archive welcomes book lovers to a special reception featuring a hosted bar, nibbles, and a show-and-tell of rare bibliographic items from the collection. Location: 1001 Mariposa St., Unit 304, San Francisco. Contact info@letterformarchive.org for more details. ABM tells the story of the book, from hand binding in the Middle Ages through the Industrial Revolution. The collection is home to equipment, books, and periodicals on bookbinding. Located at 355 Clementina St., the ABM is open Tuesday-Saturday from 10 a.m.-4 p.m.; tour tickets are $12-15. During Rare Book Week West, the museum will premiere a new exhibit, Long Live the Book! 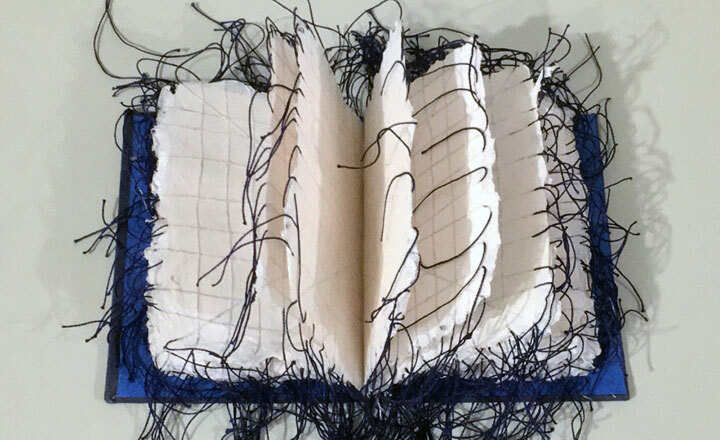 Contemporary Bookbinding as Art and Craft, on February 2 (through May 4). 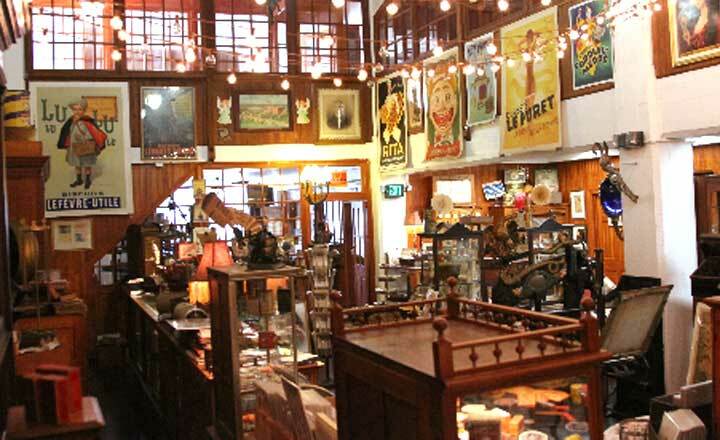 On Thursday, February 5, from 6-9 p.m., Stanford Libraries and the Hand Bookbinders of California are co-hosting a celebration of books and libraries at the American Bookbinder's Museum in San Francisco. Enjoy light refreshments and drinks while visiting with Bay Area colleagues and visitors. 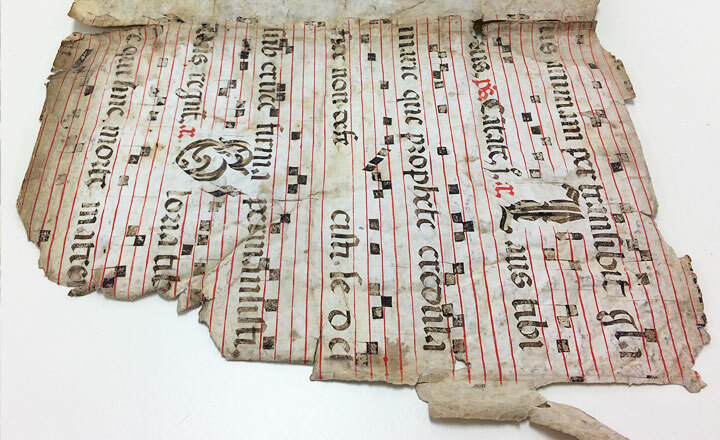 The evening will include a presentation from Elizabeth Ryan, book conservator with the Stanford Libraries conservation department, about the cultural and scholarly significance of book damage and previous interventions in research collections. There will also be museum and exhibit tours. Address: 335 Clementina Street. 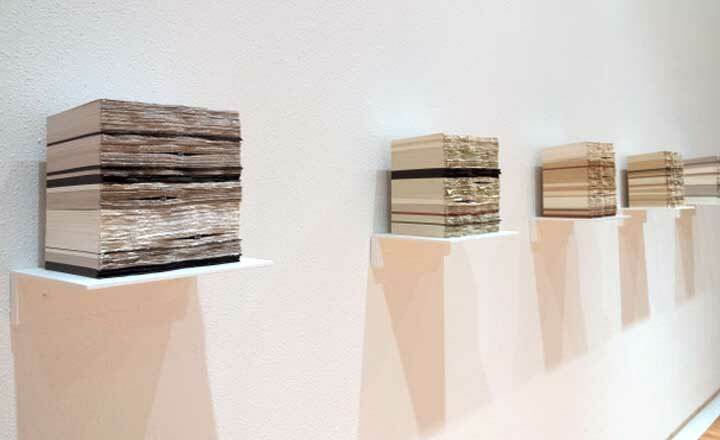 The Book as Place: Visions of the Built Environment, curated by California book artist Julie Chen, opens at UC Berkeley’s Environmental Design Library on February 2. 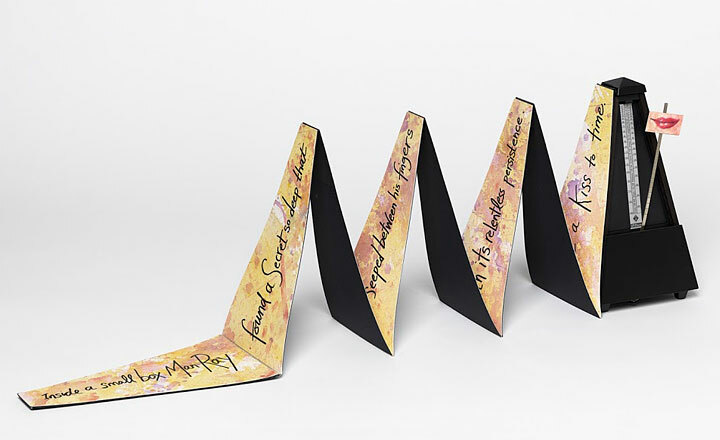 This exhibition includes artists’ books by 25 artists from around the country including Robbin Ami Silverberg, Inge Bruggeman, Sarah Bryant, Clifton Meador, Barb Tetenbaum, and Karen Kunc. The books explore the built environment in myriad ways through text, image, materials, and the architectural capabilities of book structures. Located on campus at 210 Wurster Hall. Credit: Karen Kunc: Glass Towers. 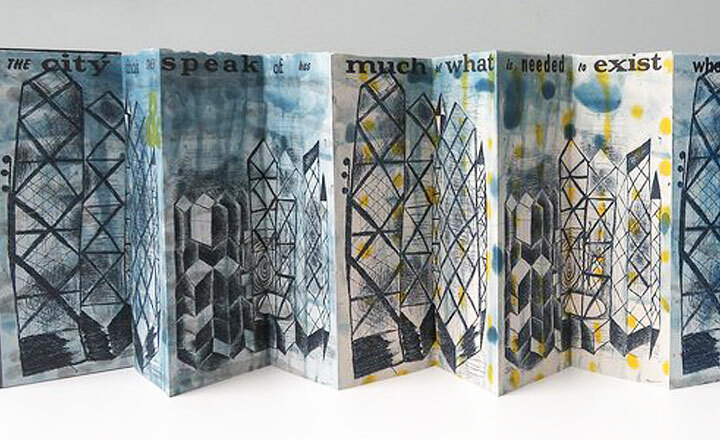 Continuing a tradition to feature the work of a book artist during the Codex Book Fair, the Seager/Gray Gallery opens Inge Bruggeman: Deposits, an installation of bookworks, on February 1. 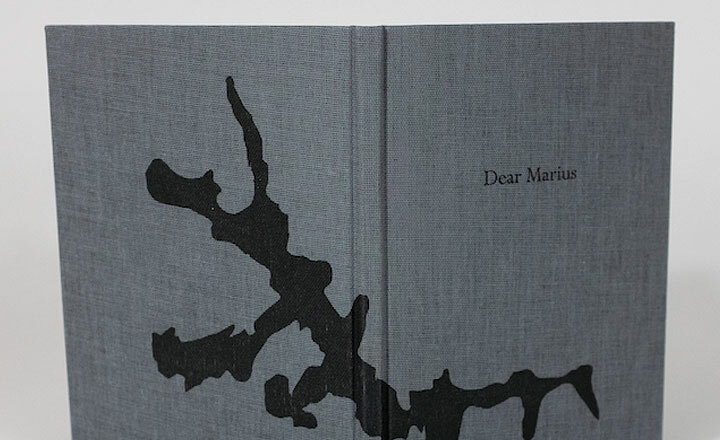 “Inge Bruggeman’s work revolves around the idea of the book—the book as object, artifact, and cultural icon,“ writes the curator. 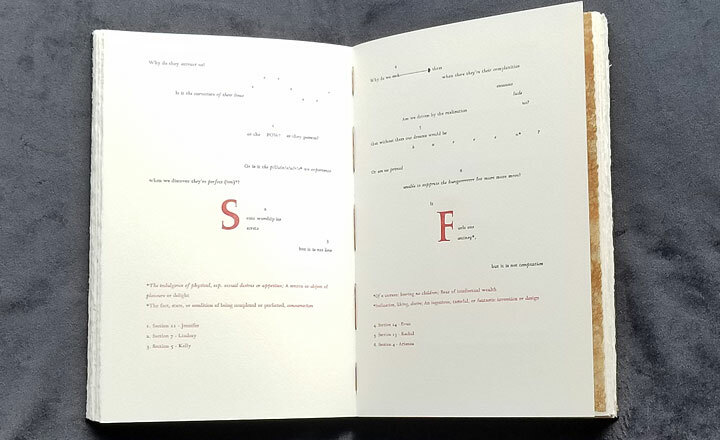 Pictured here is the artist’s “Tensive Language” depicting stacks of torn letterpress printed pages with metal type (2018). 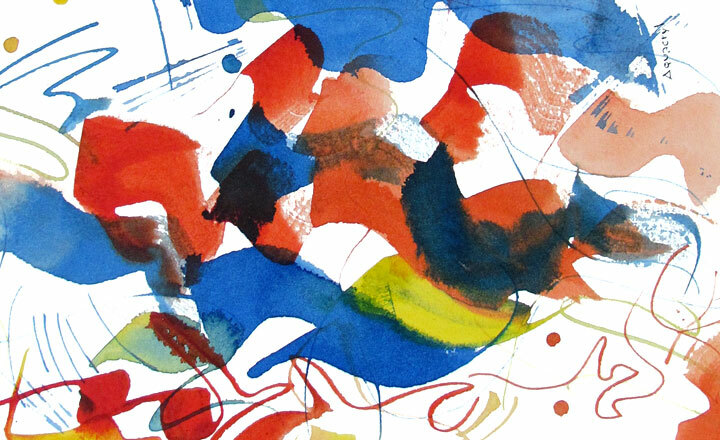 A reception for the artist will be held on Saturday, February 2, from 5:00 - 7:30 p.m. Address: 108 Throckmorton Ave., Mill Valley.